April has been an exciting month for Hoppin Bobbin. We have had some great classes, some new teachers and some new patterns come out. 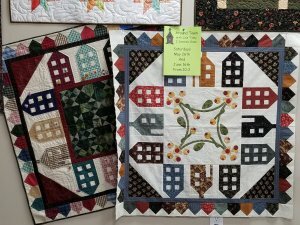 I'm excited about the NJ Quilt festival that we are vending at this week. So, for our New York and New Jersey fans we are a little closer, stop in and visit this weekend. May will be a slower month and I am looking forward to a little bit of down time for sewing and creating some new patterns. 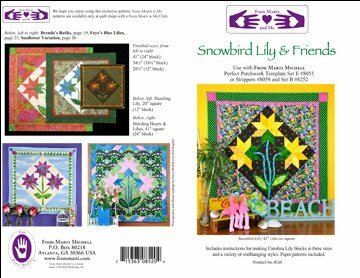 And trying to get prepared for a June filled with quilt shows. Thanks to Barb and Elisabeth for holding the fort down for me while I'm gone. I wouldn't know what to do without them! Stop in and visit them this week! 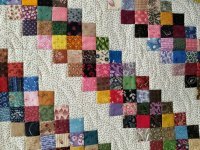 Do you have a Quilting Group that sews for a charity? A Quilting Bee that meets on a regular basis or need space to sew for your Guild as a group? Ask us about renting our classroom for your functions. Our new classroom is spacious and has plenty of room for Sewing and lots of room for Demos and Lectures. Book it for your group today! We have really reasonable rates for room rental and a great space! 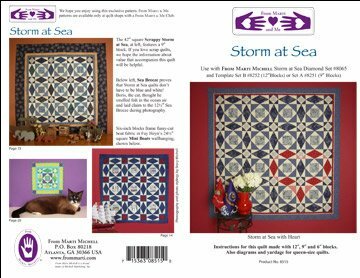 If you have always wanted to “jump” into miniature piecing, this is a great project to make that leap. We will learn or review rotary cutting, piecing and pressing and ways to achieve a more pleasing and satisfying result. It will surprise you as you learn and improve your “jump” into miniature world. Lois is known in the area for her miniatures, there is no one better to teach this class! Lois still has some spaces left in this class. Call the shop or register online.! The streamlined construction of this star block was conceived while working at a retreat in Rangeley, Maine: hence the name. Using Deb’s Tucker Trimmer tool and an additional trim, all those complicated star points become simple to make. The project has a complex look, but is actually very easy to construct. Just what we like! 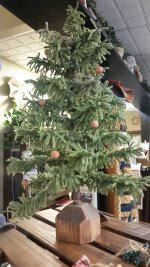 This 15" Wooly Pine Tree will be a great addition to your Holiday Decor. Come to class and go home with a completed project. Mary and Jackie will walk you through the process and supply everything you need to make the tree. Class fee does not include kit. Kit is $25.00 (required) and must be purchased from instructor on the day of the class. Come and join us for a fun day/evening of sewing on the Mystery Quilt published in the Country Register! Bring a dish to share and come and join us anytime during the day or evening to work on Part 2 of our Mystery Quilt. If you missed the last one, you can still join in! The second part of this Mystery Quilt is published in May's copy of the Country Register. Stop by to pick up your copy the first week of May! You must contact the Guild to participate in this workshop as you can not register through Hoppin Bobbin. 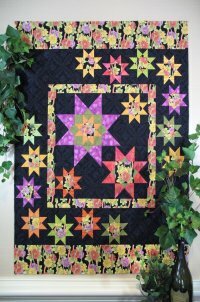 Join Lois in this 2 session class, to make this fabulous wall hanging. 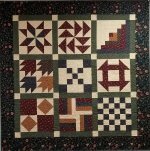 You can choose from two options for the center of this quilt, pieced or appliqued. Pick your favorite and Lois will teach you how to do it!